Baruch de Spinoza has been called "the prince of philosophers," but in his own time his thoughts about God (he believed the deity was indifferent to humanity) brought him nothing but trouble. In seventeenth-century Amsterdam, the Jews had an arrangement with the local government: They kept their own laws and guaranteed that all Jews were observant to their faith. By espousing radical ideas about God, the nature of good and evil, and the role of man in the universe, Spinoza was breaking that covenant, potentially putting his own community at risk. So his former congregation put him on trial, with expulsion being the penalty if he was found guilty of "monstrous deeds." 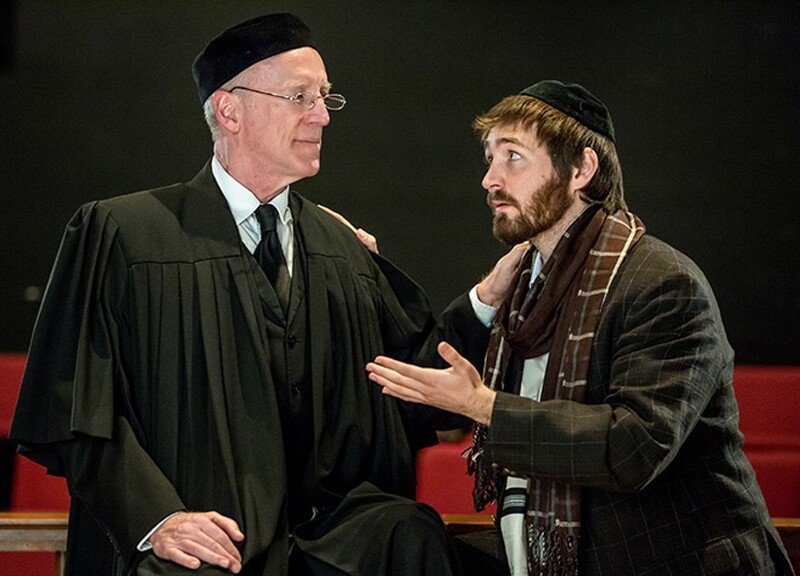 David Ives' play New Jerusalem dramatizes this trial, which saw Spinoza's former teacher called to testify against his beloved student. The New Jewish Theatre presents the play at 7:30 p.m. Wednesday and Thursday, 8 p.m. Saturday and 2 p.m. Sunday (April 4 to 22) at the Jewish Community Center (2 Millstone Campus Drive, Creve Coeur; www.newjewishtheatre.org). Tickets are $41 to $44.